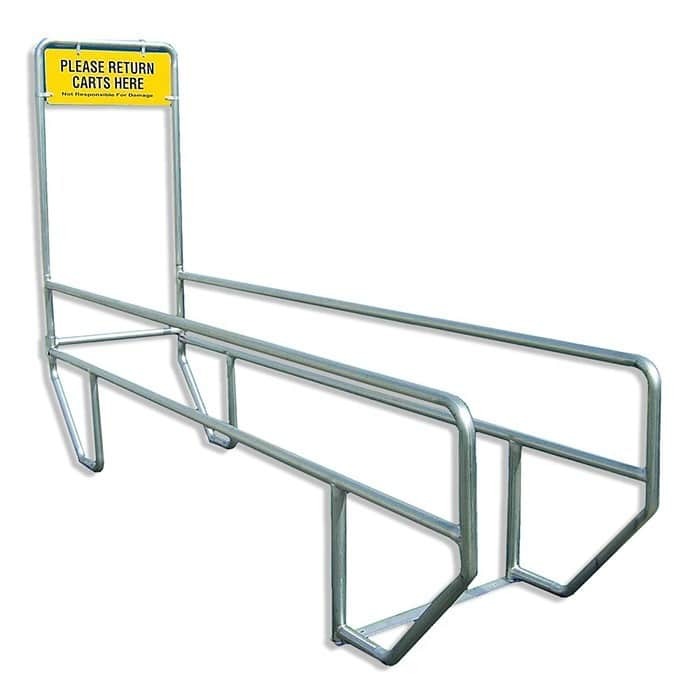 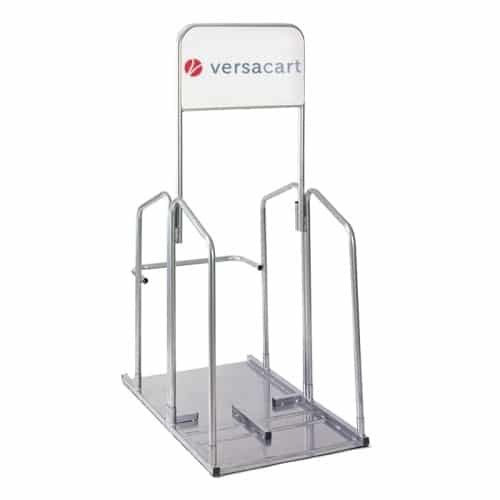 Properly placed throughout your parking lot our cart corrals will protect your shopping cart investment, reduce labor cost for cart retrieval and improve your customer's shopping experience. 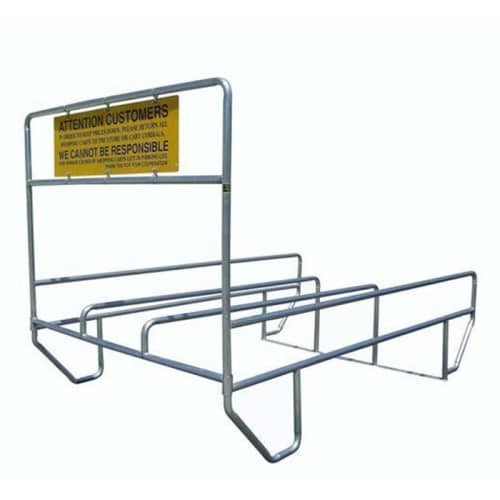 The 560-000 model shopping cart corral is one of our most popular models. 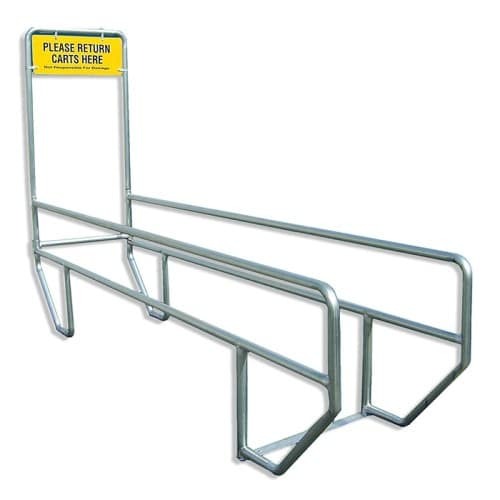 It will accommodate about 12 shopping carts. 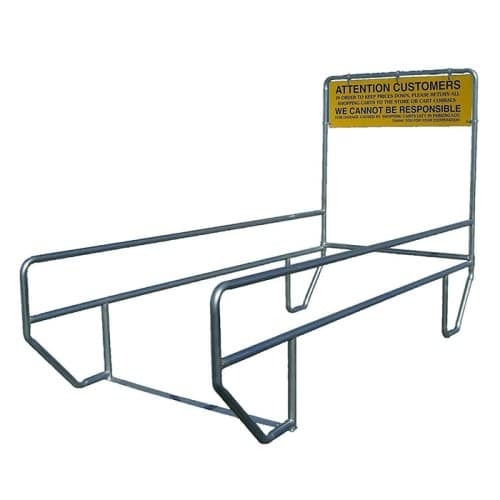 The corral is 30” wide and 12 feet long and comes standard with our 12”x 29” aluminum sign thanking the customer for returning the cart to the corral or the store and also has a disclaimer for damage to cars from unattended shopping carts. 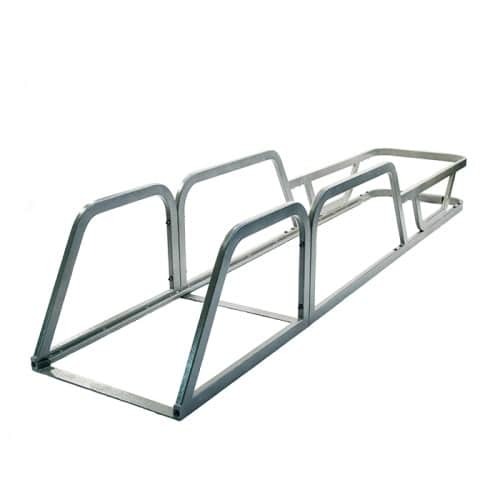 The model 560-000 folds for shipping to 4” wide and 15 feet long.